Online applications for two major Nashville Symphony education programs are now live: qualified students may apply to audition in early 2017 for both our groundbreaking new Accelerando program and our annual Curb Concerto Competition. 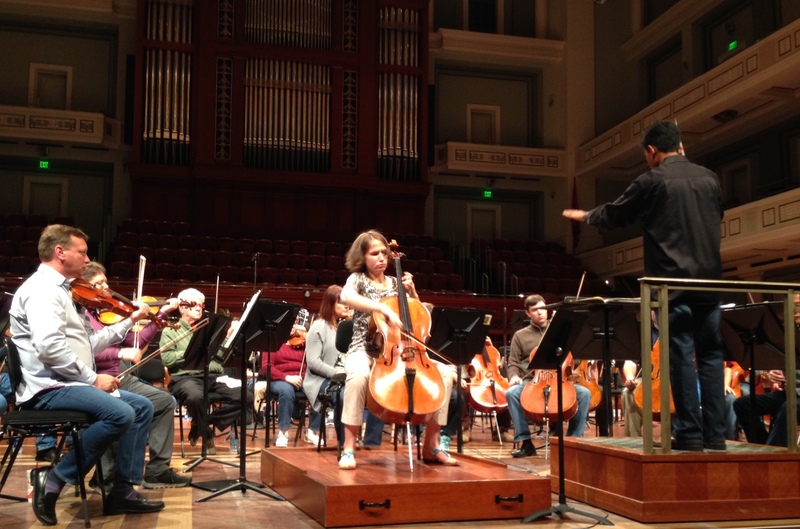 Accelerando is an intensive education program of the Nashville Symphony designed to prepare gifted young students of diverse ethnic backgrounds for the pursuit of music at the collegiate level and beyond. Accelerando seeks to create professional opportunities for musicians from ethnic communities that are underrepresented in today’s orchestras by providing them with instruction, mentorship, performance experience and applying to music schools. With access to the resources of a major American orchestra, these students will be able to realize their full potential and will join the next generation of orchestra musicians. This new program is designed for serious music students who have a high musical aptitude and the motivation to pursue a professional music career on a standard orchestral instrument. Rising 4th through 9th graders may apply. Accelerando seeks to create professional opportunities for musicians from ethnic communities that are underrepresented in today’s orchestras, regardless of financial need. Auditions for Accelerando will be held on Saturdays, March 4 & 11, 2017. All applications to audition for this program must be received and complete by Friday, February 17, 2017. Click here for previous articles about Accelerando posted here on Off The Podium. 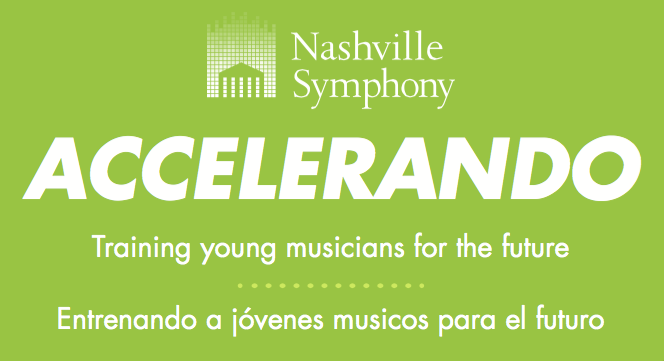 Click here for complete information about eligibility, audition requirements, and a link to the Accelerando audition application in both English and Spanish on the Nashville Symphony website. Jocelyn Hartley, cello, winner of the 2016 Curb Concerto Competition, rehearses the first movement of Camille Saint-Saëns’ Cello Concerto No. 1 in A minor, Op. 33 with the Nashville Symphony, Vinay Parameswaran, conductor. Wednesday, May 19, 2016. 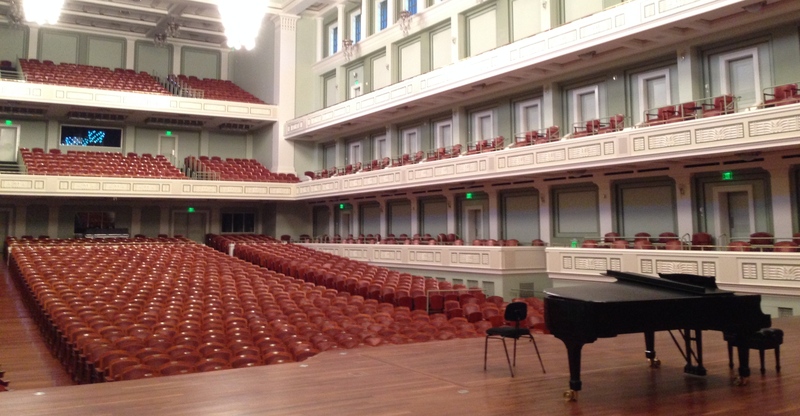 Hosted by the Nashville Symphony at Schermerhorn Symphony Center, the Curb Concerto Competition is an instrumental competition held each year to promote, encourage, and support young musicians in the state of Tennessee. It is open to classically trained, instrumental music students ages 14 -18. Students who play woodwind, brass, string, piano, and percussion instruments are eligible to apply. Grand Prize winner receives $2,500 and two season ticket subscriptions to the Nashville Symphony Classical Series. In addition to the cash prize, the grand prize winner will be considered for a performance as soloist at the Nashville Symphony’s free Side-by-Side Concert. Round One will be held on Saturday, February 25, 2017, from 8 a.m.-5 p.m. Outstanding performers are selected to compete in the final round. Round Two (Finals) will be held on Sunday, February 26, 2017, from 1-5 p.m. Runners – Up and the Grand Prize winner will be selected. Initial application is made via the Nashville Symphony website. Once this online application is completed, instructions for all further required documents will be forwarded to the applicant. All application submissions must be complete, received or postmarked by January 27, 2017. Click here for complete information about eligibility, audition requirements, and a link to the Curb Concerto Competition application on the Nashville Symphony website. By walterbitner in Accelerando, Concerto Competition & Side By Side, Education, Music Education, Nashville Symphony, Nashville Symphony Programs on November 28, 2016 .